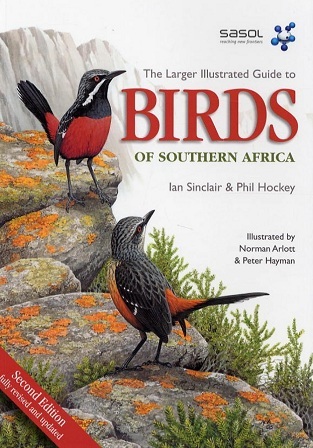 Following the success of the first edition and the three editions of the standard format Sasol Birds of Southern Africa, this new edition has been updated and revised and includes more than 950 species including an additional fourteen new species that have been recognised since the first publication. The new edition incorporates the most recent information about bird taxonomy, as well as the latest bird names based on recommendations of the international ornithological committee. All distribution maps have been revised and feature dual shading to show relative abundance of a species in the region, as well as crosses to indicate the occurrence of vagrants. Numerous illustrations have been updated and revised where necessary. The essays on identifying problem species have also been revised and updated to bring the book in line with international birding developments. Paperback - 464 pages.